Carly Blosser may not match the typical description of a conservative Mennonite woman—unmarried at 27, living alone, and careening around her Oregon neighborhood on a pink bicycle—but she has a soft heart for the elderly Mennonite residents at Sweet Life Assisted Living Facility, where she works as a caregiver. When Carly’s plans for a new volunteer program go awry, she shifts her focus to one lonely resident named Martha. Adam Lapp, a wood shop instructor at Sweet Life, joins with Carly to reunite Martha with an old flame before her 85th birthday. Carly and Adam’s hunt involves carved initials on covered bridges, digging up the past, and the appearance of a newcomer, who hinders the budding romance between the two. Soon, new clues sweep them all in a harried race to the finish line where love is sure to be the ultimate prize. Dianne Christner has penned a lovely story that is uniquely different and quite entertaining. Covered Bridge Charm, set in the Oregon Mennonite community, has rich characterization, spiritual depth, and is a story with heart. I’m so glad to have discovered Dianne’s writing. Carly and Adam both work at the Sweet Life Assisted Living Facility and captured my heart with their empathy for the elderly. Adam, who teaches a woodworking class, finds himself caught in the middle between his dad and uncle in their ongoing feud. And Carly is quite the character! While some consider her to be a little independent and strong willed for a Conservative Mennonite, no one can fault her heart and passion for the assisted living residents. I love that she rides a pink bicycle everywhere, often getting in situations that require Adam to give her a lift in his truck. 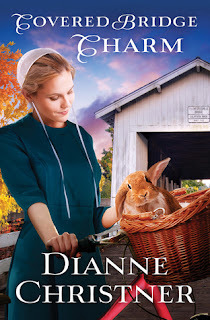 And she has the most adorable pet, a unicorn lop rabbit with one ear up and one down – a rescue bunny that “had always been on the nippy side when he didn’t get his way.” I loved seeing how there was a hierarchy in Cocoa’s world, and let’s just say that Carly was not at the top. Covered Bridge Charm is a heartwarming story of relationships, and I loved the chemistry between Adam and Carly. There’s a lot of interesting secondary characters who add to the richness of this story, so I hope we get to return to this Mennonite community. 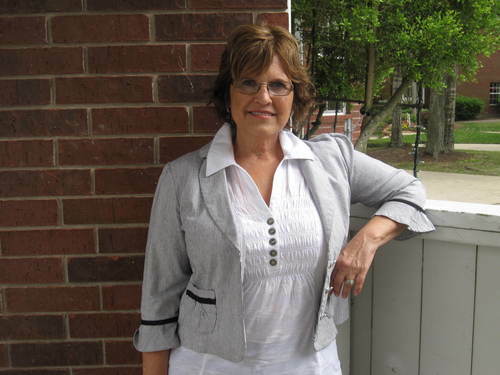 Dianne Christner - Christian Fiction Author - writes Christian romance novels. 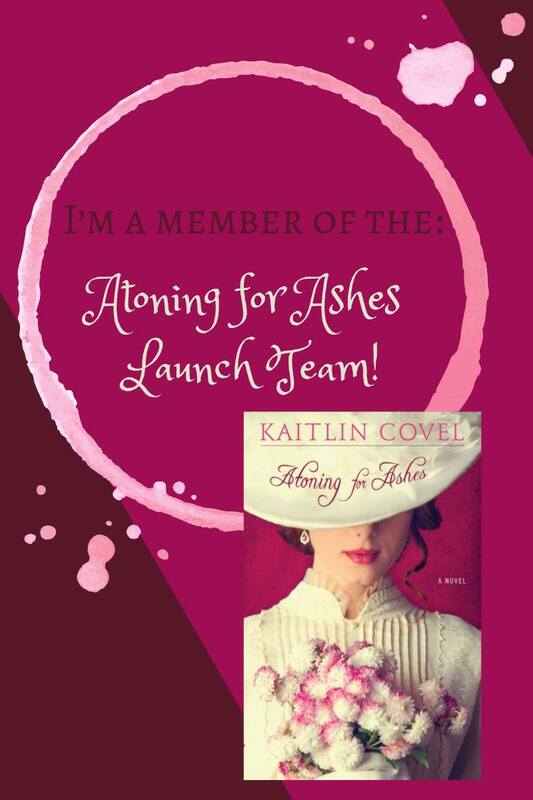 She writes both historicals and Amish fiction. 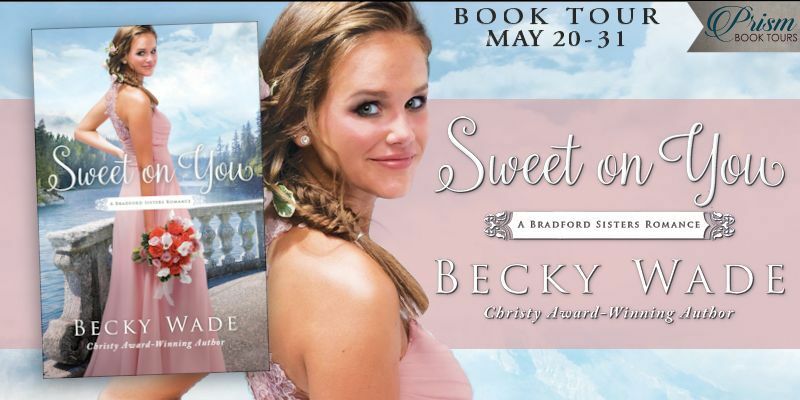 Raised in the Mennonite church, she brings authenticity to "The Plain City Bridesmaids" series. She keeps a lighthearted reality blog called plaingirl romanticizing. Her passion is reading and connecting with other readers and writers. Thank you to Barbour for providing a copy of this book in exchange for my honest review. While I have enjoyed all of Rachel Hauck’s wedding-themed stories, The Wedding Chapel is one of my very favorites, a 5-star read all the way. It has an ethereal quality, grace and elegance, symbolism, and the feel of God’s heart throughout. 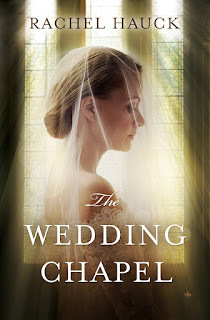 Please click on the title, The Wedding Chapel, to see my review. 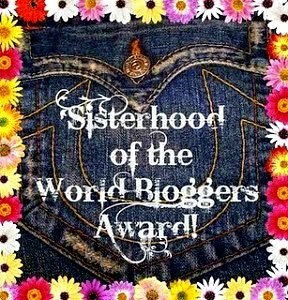 I really enjoyed Rachel’s interview and appreciate Audra at Litfuse Publicity for allowing me to share her thoughts with you, as well as offer a giveaway. I hope you’ll enjoy all that Rachel has to share . . .
Q: What inspired the plotline of The Wedding Chapel? This book came from the old saying, “Desperate times call for desperate measures.” I needed a new story idea, and while on vacation in Tennessee I drove past a wedding chapel called Chapel in the Glen. I pitched the title to my publisher a few minutes later. She and the team loved it. And I was off to find a story to go with it. Q: Why did you choose to marry a classic love story from the 1940s with a modern tale of romance gone off-course? In our day, people can walk away from a relationship so easily at the slightest sign of trouble. It’s easy to decide it’s not worth time and effort. However, the chapel itself stands for enduring love, even when love looks impossible. Q: What would you say is the major thread or theme that runs throughout The Wedding Chapel? This book takes a long look at the complications of family yet champions the power of enduring love. Tragedy such as war destroys lives, destroys dreams, but the zeal of the human heart helps people to carry on. The book also looks at how selfishness and greed are just as devastating as war, destroying the family and tearing down dreams. But with a little prayer, guidance and Divine intervention, we can find a way. The book also confronts lies and misconceptions and calls for forgiveness. The story furthers the enduring power of love to bring wrong things right. Q: Those who have a complicated relationship with their earthly fathers may struggle with a having healthy relationship with God as Father. How can they reconcile what they believe about God with what they’ve experienced with their earthly dads? I’ve been mulling on this a lot lately. God is our Father. He’s holy, which means He’s “totally other than.” He’s like nothing or any one we’ve ever encountered or experienced. That’s exciting because God is also love (1 John 4). For those hurt by their earthly fathers, my heart goes out to them. I think it’s probably the hardest thing to overcome. Abuse, neglect or rejection from fathers so molds a young heart. But God the Father is much greater. He extends His love to us even before we fully understand who He is. That’s the message of the Cross. Even Jesus, His begotten son, earned God’s pleasure and love without doing a thing! Remember when Jesus went to John to be baptized? At that point, He’d not yet started His ministry. 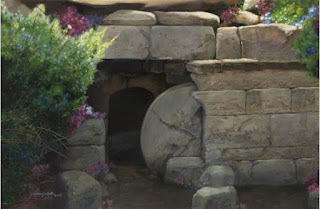 When He came up out of the Jordan, everyone heard a voice saying, “This is my son in whom I am well pleased.” Up to that point, Jesus had not entered His ministry. But He believed the Father — which pleased Him. Same with Abraham — he was just living his life when God the Father called him out of Ur. Abraham’s only response was, “Yes.” Faith and belief. God tells him, “I am your exceeding great reward.” Wow. The God of heaven and earth wants to be OUR great paycheck. There’s a powerful punch in that notion! So for those who’ve had a troubled past with fathers or mothers, believe in the Father who says He loves you. He’ll move in and through your heart. Q: In your book The Wedding Dress, you included some rich symbolism that showed how God impacts history and our lives in ways we don’t always see or understand. Did you incorporate any of that imagery in The Wedding Chapel? Every book is different, but in the back of my mind I want to show, in a physical way, God touching the lives of the characters. I think He’s doing that for us every day. In the “real world,” we can’t always see God moving; that’s why our relationship with Him is a walk of faith, but He is working on our behalf daily. We just have to be willing to believe, to see with our heart. With The Wedding Chapel, the heroine, Taylor, is aware that she once heard God, but after some choices she made, she no longer hears Him. She begins to long for those days again. The chapel itself is a symbol of love, of one man’s devotion, which is a small reflection of Jesus’s love and devotion to us. Like The Wedding Dress, there is a family thread, connecting generations. Two of the characters hear a sound whenever they are in the chapel. It creates quite a mystery for them. For me, that sound is God’s eye and attention on us. He wants good for us. He wants us to believe He is with us. It’s symbolic of God’s desire for us in the quiet, intimate place. Q: When you sat down to write The Wedding Chapel, what impact did you hope it would have on its readers? I always hope my stories leave readers uplifted, hopeful and aware of God’s love for them. In this book, I tried to show how His heart beats for us, even when we are running the opposite direction. What did you enjoy most about Rachel’s interview? Do you have a favorite Rachel Hauck book? 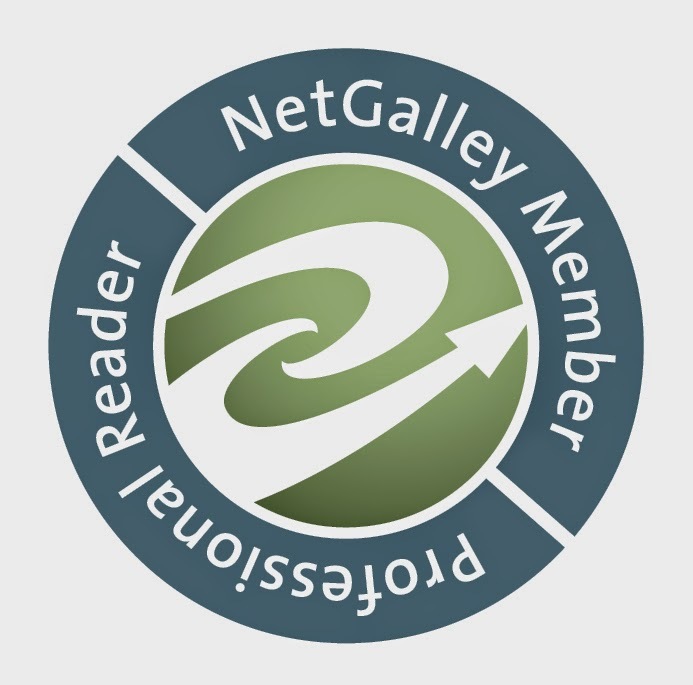 I try to promote on social media, but the best way to keep up with my reviews and occasional giveaways is to subscribe by e-mail in the top right corner (no pressure intended). BE SURE to leave your name and your email address in a safe format - [at] and [dot] - for the drawing. E-mail required for entry. Contest ends at midnight PST on Monday, April 4­­­­­­­­­­­­­­­­­­­­­­­. Winner will be chosen by random.org and contacted by e-mail. When the reality of your pain doesn't line up with what you've been taught in church, then what? While many abandon their faith or embrace hopelessness, it is possible to discover the God who heals your heart in the midst of the pain. God, in real life, is nothing like the God we’ve been taught about in church. Anyone who has been through tragedy, pain, trauma, or devastating loss knows that in those moments, and in the terrible aftermath, hell often feels much more powerful than heaven. When going through an unspeakably difficult time, how many of us have been truly transparent with God and others? I suspect that Matt has asked the difficult questions that many have secretly wanted to ask. Most Christians that I know would like to forget Jesus’ words, “In this world you will have trouble” (John 16:33). But how difficult it is to mesh the realities of a compassionate God who enters our place of ruins with a God who allowed and keeps allowing that “trouble” to happen! 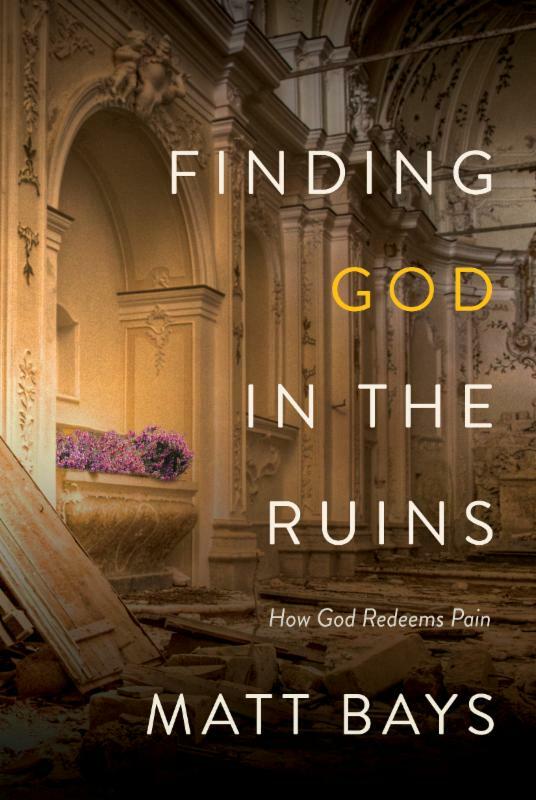 Finding God in the Ruins is not a theological exploration of the subject, but rather one man’s story. Readers can always find statements to question, but for me, this book transcends any particular theology and it simply ministers. As I was reading, I couldn’t help but think how explicitly honest David and Job were in their questioning, and draw comfort from knowing that God welcomes our honest thoughts. I’ve been a worship musician for over 50 years, and I just have to share this quote from Chapter 10 that I’ve read over and over: “His song is in a minor key. There are short-lived moments where he sings in C major, but most often he sings outside the lines, adagio, because of the great skill and lyricism it requires to place each syllable dissonantly within the minor chords.” What beautiful and realistic imagery! 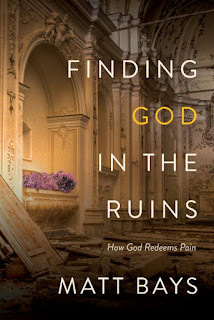 Finding God in the Ruins is a perfect example of how God uses flawed, broken vessels to minister in a powerful way. 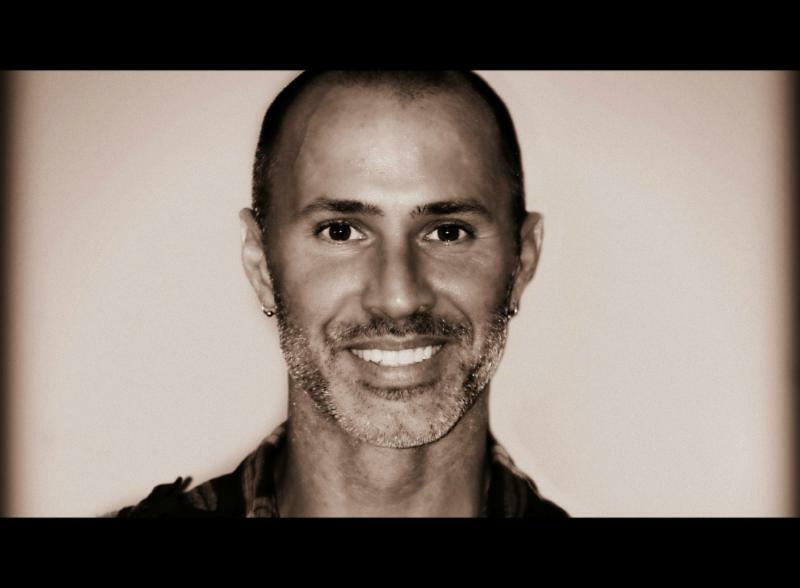 Thank you, Matt, for sharing your personal story and insight. Matt Bays is a writer, speaker, and musician with a passion to call people out of their hiding places. In ministry for twenty years, he and his wife, Heather, live in Indianapolis with their fun-loving and insightful teenage daughters. 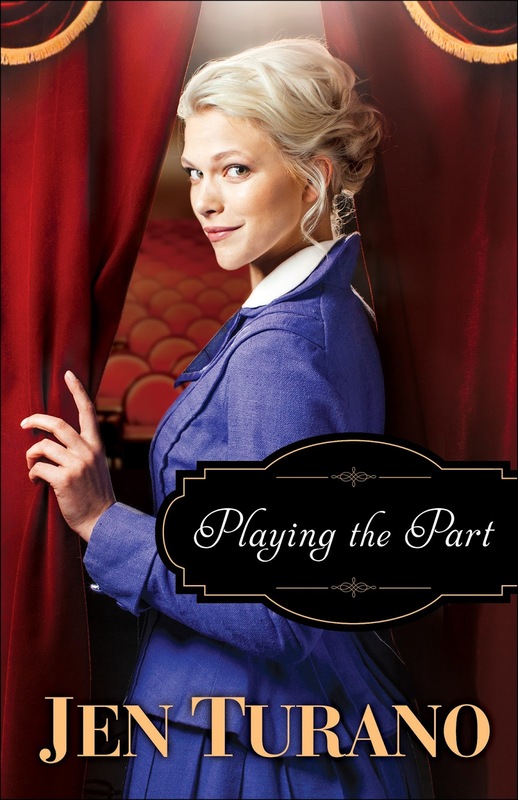 Playing the Part is pure delight – crazy good, really – and it leaves me asking myself why I haven’t discovered Jen Turano’s writing before now. Witty, charming, filled with memorable characters and a vivid sense of place. I have obviously not read the previous two books, but this story can stand alone. I do recommend reading the series in order, however, and I plan to quickly catch up on what I’ve missed. 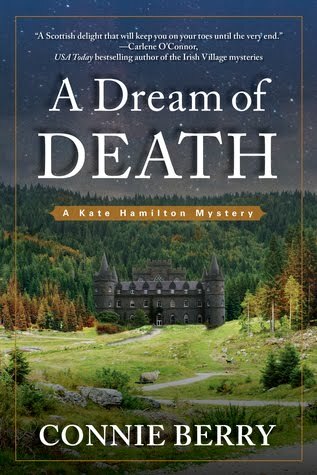 Playing the Part begins in 1882 at a theater in New York City, but quickly moves to Ravenwood, the gothic-like castle on the Hudson River that is home to the mysterious Bram Haverstein. Characters are well developed and so very likeable – except those who play the villain, of course. Bram is reliable, with an air of mystery about him, and he’s very romantic! He’s kind and compassionate, cares about his family and staff, and is well known for helping people in need by staffing his home with people from the tenements - people whose backgrounds are a little questionable and definitely aren’t qualified for their household positions. But oh, how loyal they are! I loved that he also rescues abandoned and abused animals and brings them to his castle. Lucetta is a complex character, quite different from what people see on stage, and utterly delightful. She has always shied away from men who held her in high regard, knowing that her stage persona was not a true reflection of who she really was – and to be loved and accepted for who we are is a desire we can all relate to. Let me just say that getting to know the real Lucetta is fun and packed with surprises. Lucetta and Bram are surrounded by a deliciously quirky ensemble cast that I adored, even the animals – especially Geoffrey the goat. And what exquisite, humor-filled writing! If I didn’t know better, I would think I was reading one of Georgette Heyer’s Regencies, for their laugh-out-loud styles are very similar. Excellent job with just the right amount of humorous situations and dialogue. Complex characters, romance, and danger all combine in this relationship-driven story. Readers will appreciate the theme of being the person we were created to be and not trying to live up to the expectations of others. We also see spiritual themes of forgiveness, second chances, and using our talents and abilities to help those in need. I appreciate being reminded that God brings people into our lives for a reason, reflected in Bram’s words: “When you cross paths with a person who is in need, and you have the solution to that need, well, God expects you to put that solution to use. I don't know about you, but I'm not one to argue with God." 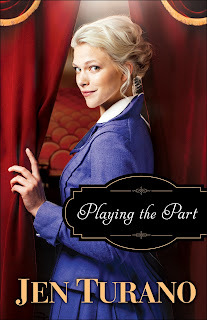 Playing the Part has made Jen Turano one of my favorite authors. Those who have read the previous two books will enjoy seeing some of the characters again – Harriet, Oliver, Reverend Gilmore, Millie, Everett, and Abigail - and will adore the epilogue. 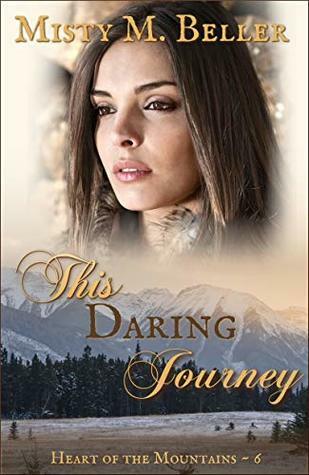 Jen Turano is the best-selling, critically acclaimed author of The Ladies of Distinction series, and A Class of Their Own series, published through Bethany House Publishers. Her novel, After a Fashion, was chosen as a top pick from Romantic Times, as well as being named a top ten romance of 2015 from Booklist. It is also a nominee for Romantic Times 2015 Reviewers’ Choice Award. Her book, A Most Peculiar Circumstance, was chosen as a top ten romance by Booklist in 2013. Her seventh book, Playing the Part, will release in the spring of 2016, followed by a new four-book series, The Wallflowers. 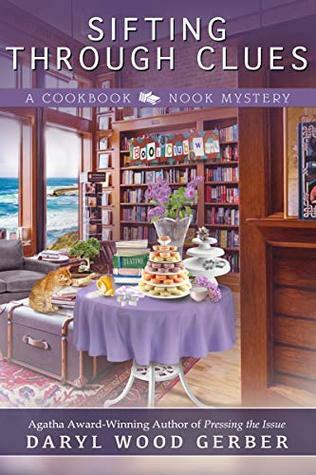 When she’s not writing, Jen spends her time outside of Denver with her husband and neurotic Cattle Dog, enjoying herself as an empty-nester since her son recently abandoned her for the college life. 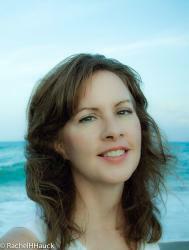 She is represented by Susan Brower of the Natasha Kern Literary Agency. Thank you to Litfuse Publicity and Celebrate Lit for providing a copy of this book in exchange for my honest review. To enter the drawing, please click on this link and share my Facebook post, then leave a comment here. Since I’m new to Jen’s books, please share a favorite if you’ve read any of her earlier books. BE SURE to leave your name and your email address in a safe format - [at] and [dot] - for the drawing. E-mail required for entry. Contest ends at midnight PST on Tuesday, April ­­­­­­­­­­­­­­­­­­­­­­­­­­­­­­­­­12. Winner will be chosen by random.org and contacted by e-mail. The Joy of ART: Alive!! 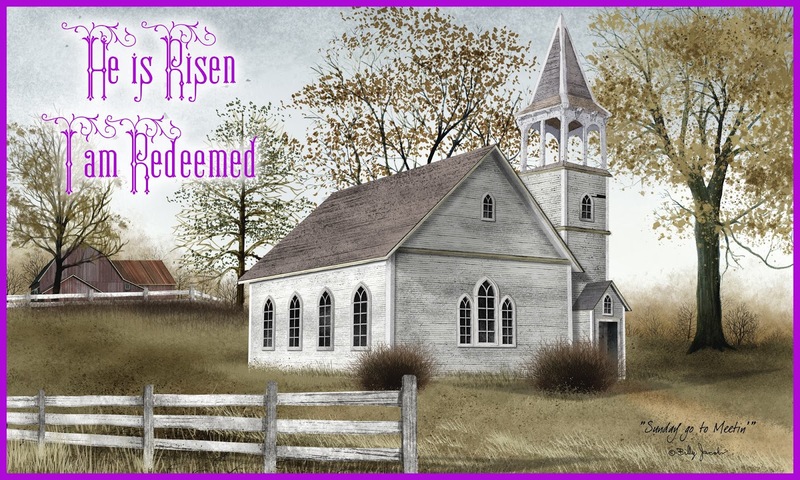 Following up on Friday’s It Is Finished post, I wanted to share these Resurrection paintings that I enjoy so much, along with the artists’ own words. May you enjoy these as I have . . .
Like Mary, each of us will face the loss of a loved one. One does not live long without experiencing the sorrow that comes with death and the longing for a glorious reunion. 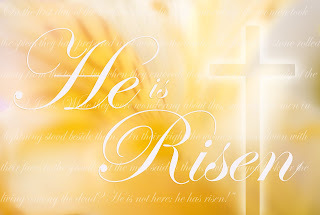 The miracle of the empty tomb is not just that He rose, but that because He did, we will too. Each of us will leave our own empty tombs and be reunited with those we love. A man who had recently visited the Garden Tomb in Jerusalem came to me and described the personal feelings he had experienced while he was there. 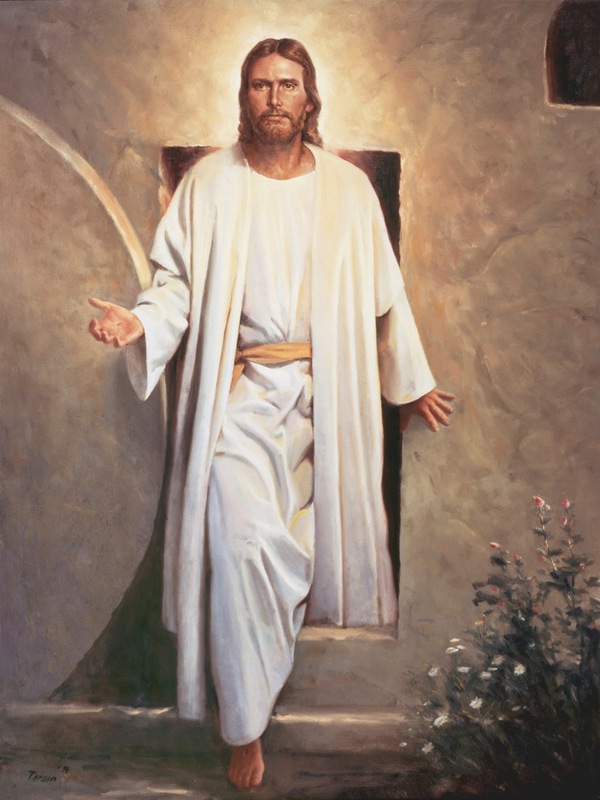 He said that as he stepped out of the darkness of the tomb and into the sunlight, he was overwhelmed as he thought of Christ’s resurrection. 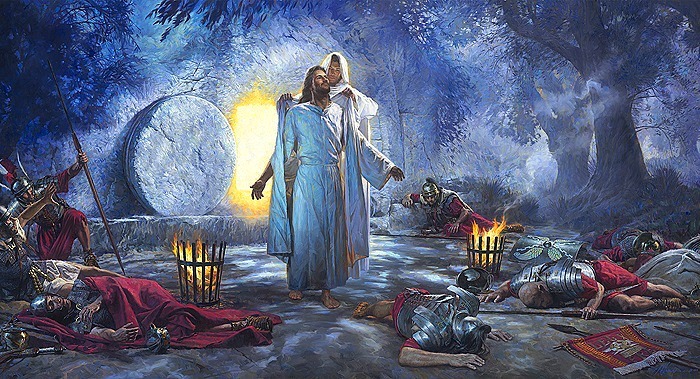 He wanted me to recreate those feelings in a painting of the Savior stepping out of the tomb and into the early morning sun. Easter morning began full of magic and joy as our little children searched for eggs to fill their Easter baskets. That magic seemed to evaporate when our six-year-old daughter “found out” about the Easter Bunny. This led to a discussion about the Tooth Fairy, leprechauns, and finally, Santa Claus. It was sad to see some of the childhood wonderment disappear from her eyes. I sat next to her, gathered her up in my arms, and told her that I was happy to say that I know that Jesus and Heavenly Father are not pretend – They are real! This painting reflects that belief. 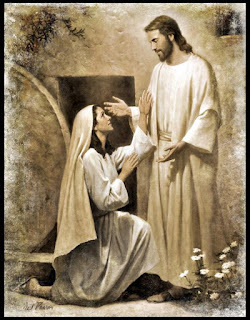 On that first Easter morning, the risen Lord himself reassured a sad and questioning Mary Magdalene that He is real and that yes, He lives! 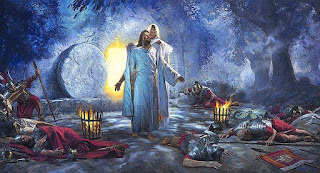 How fitting that one of His most devout disciples was the first to see him after He had risen. Mary Magdalene knew Him well. She had followed Him throughout His ministry and loved Him deeply, yet in her grief she didn’t recognize Him. Was it her tears that blurred her recognition? Perhaps it took a moment to recognize Him because of the glory of his resurrected body. We don’t know. Aren’t we all a bit like Mary? When we struggle the most, we are reluctant to look up and see His face and let Him bring us peace and comfort and direction. 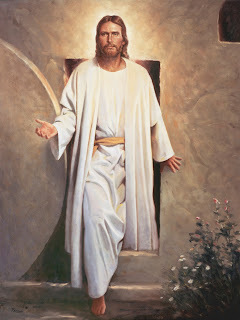 Possibly one of the greatest lessons we can learn in life is to know He is there and to go to Him immediately. 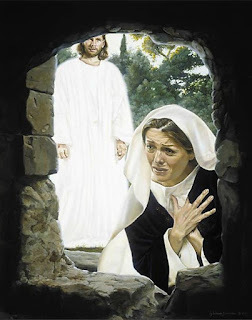 When Mary came to the tomb, she found the stone rolled away and the tomb empty. 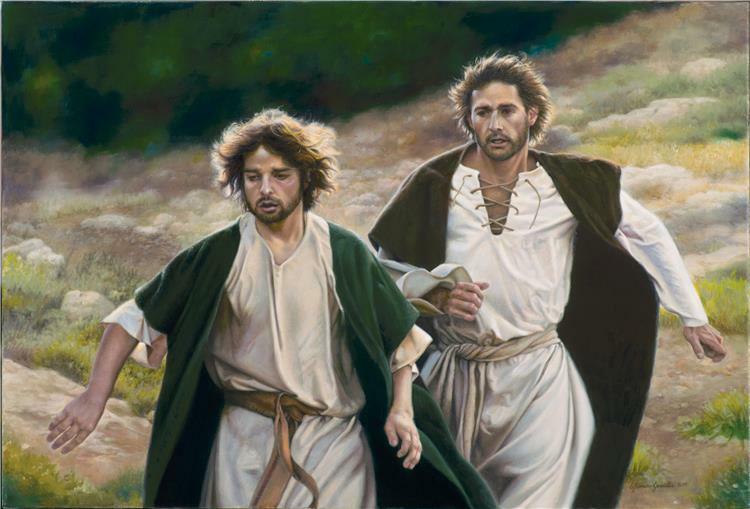 She ran to the disciples crying, "They have taken away the Lord…and we know not where they have laid him" (John 20:2). Peter and John immediately ran to the tomb. What did they think as they ran? Were they simply curious to see for themselves? Did they fear, like Mary, that their enemies had stolen the body? Or did they remember His promise, "Destroy this temple, and in three days I will raise it up"? As the first person that Christ appeared to after His triumph over death, Mary is described as a great friend and a loyal follower. In this portrayal Mary desires to touch her Master. However, “Jesus saith unto her, Touch me not; for I am not yet ascended to my Father …” (John 20:17). 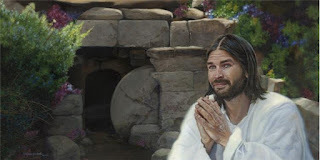 I wanted to capture that first Easter morning as the Lord sat in the quiet stillness of the garden. 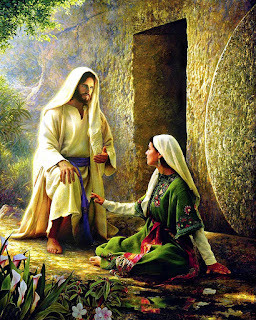 He must have known that Mary would come seeking Him, but for a moment He was alone to ponder on all that had happened. He must have felt unspeakable joy in knowing that by doing His Father will He had made it possible for each of us to return to live with God. The Joy of ART: "It Is Finished"